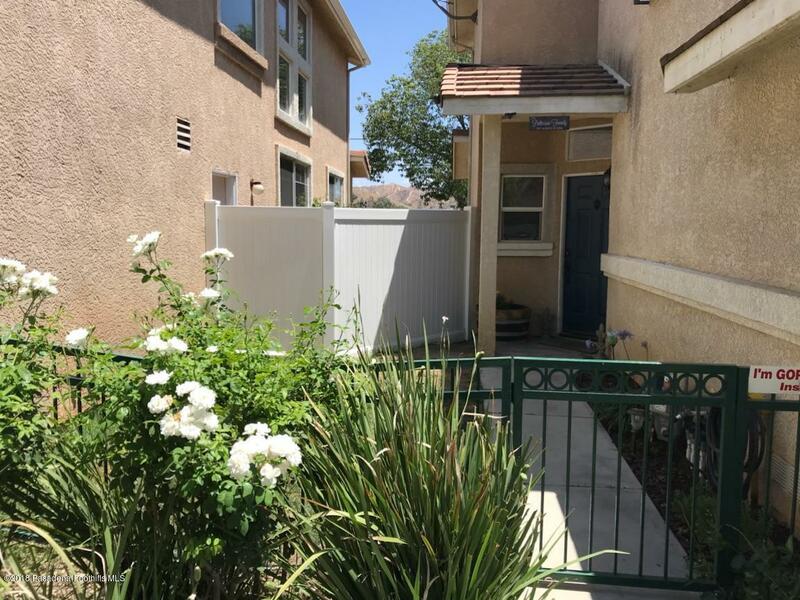 Nice gated community in Castaic. Close to coffee shop, Ralph's Market, eateries, Castaic Lake. Castaic Elementary, Middle and High School are up the street. 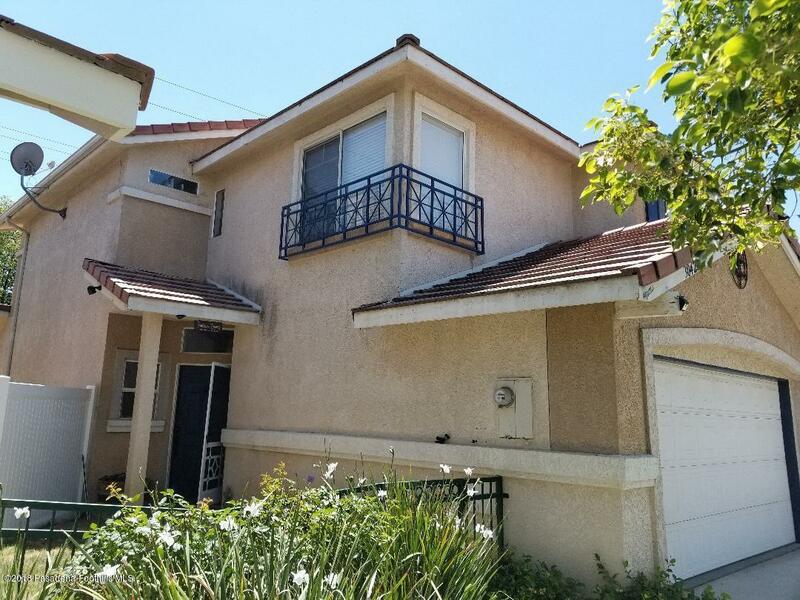 This two story fully detached home features 3 bedrooms all on the second floor, master bedroom with an en-suite bathroom and large walk-in closet, a second full bathroom is also upstairs. New Carpet and New wood like Laminate flooring in the kitchen, the laundry room is adjacent to the 2 car garage with direct access. Sliding glass door leads out to a back yard with room for entertaining, Rear yard has new Vinyl Fencing and green grass. No Neighbors behind property. 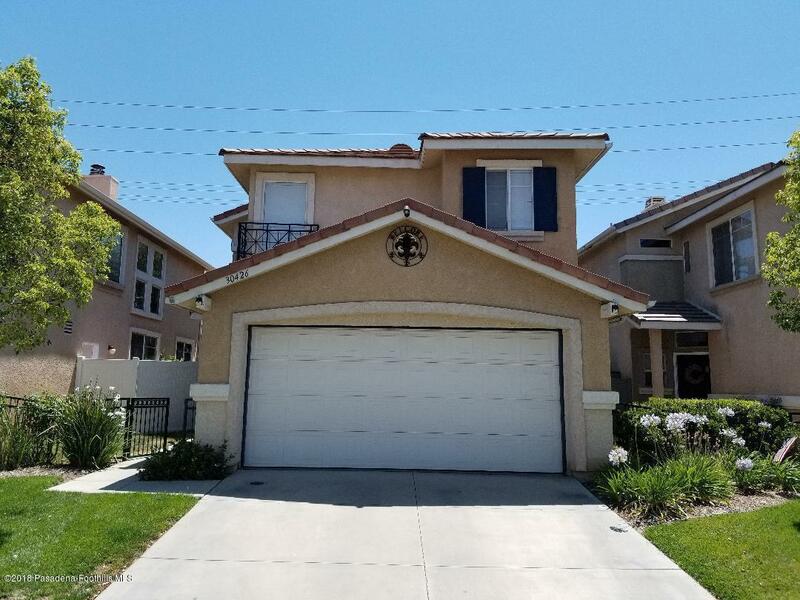 Sold by Tyler Ybarra BRE#01114751 of Homesmart Evergreen Realty. Listing provided courtesy of Derek Ramos DRE#01114751 of Gotham Realty, Inc..